Look like a riverboat gambler flaunting a refined folding tactical knife when you purchase the Emerson Gentleman Jim SF from KnifeArt. 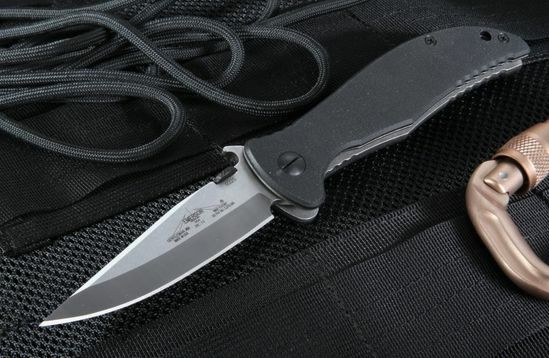 Buying this emerson pocket knife is no gamble at all — it's the closest thing you can get to a "sure thing." The Gentleman Jim is a sleek, slim and high quality folder with a 154 CM stainless steel 3 ¾-inch blade that is .125 inches thick and boasts 57-59 RC hardness. 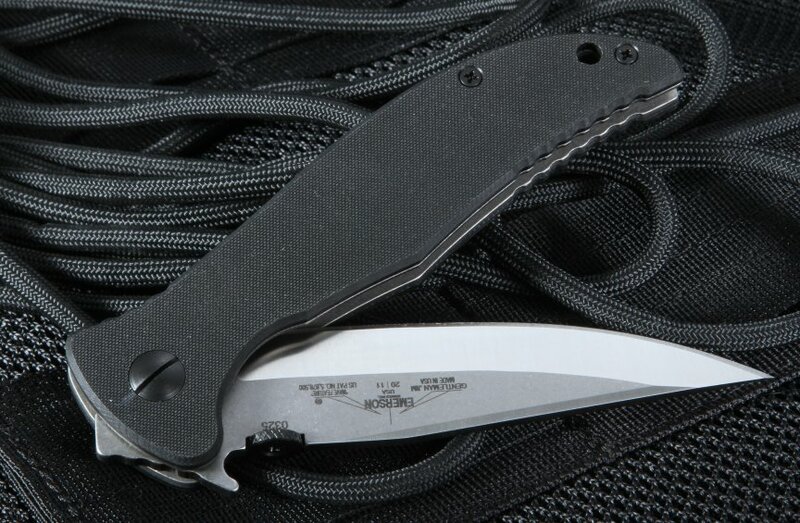 The Emerson liner lock folding knife has a blade of satin finished American-made steel. The top of the blade spine has jimping for a positive grip. The knife opens one-handed via both the thumb disc or the patented wave opener. 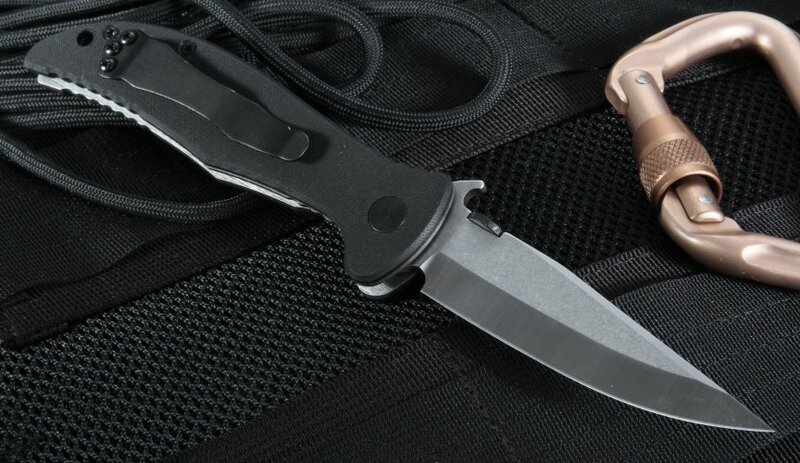 The wave feature allows you to pull the knife from your pocket with a ready edge. The black textured G-10 epoxy and glass laminate handles are sure and firm to grip and include a convenient lanyard hole. The G10 gives you a reinforced material that is both strong and impact resistant. The handle has groves for increased hand traction in a variety of conditions. 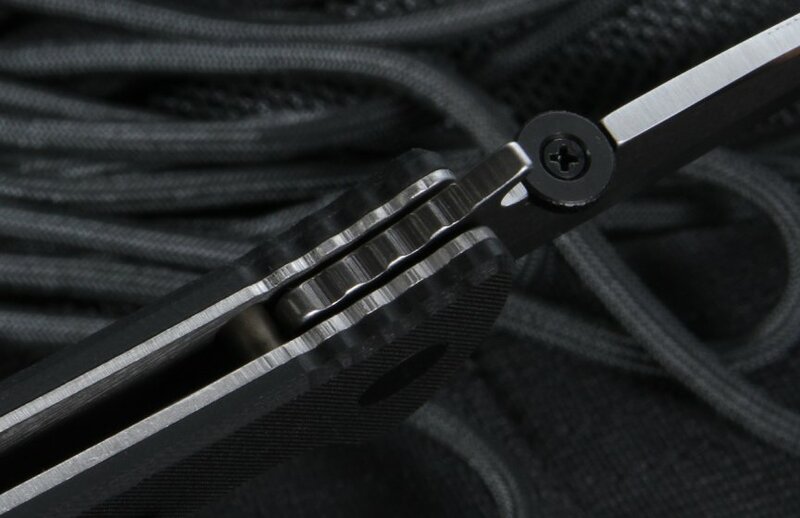 The pocket clip is mounted, making tip-up carry much easier and blade deployment faster. Order the Gent Jim from KnifeArt and benefit from free US same-day shipping and a satisfaction guarantee. We only sell select high quality knives. I've been looking for an Emerson Gentleman Jim in stone washed finished for a while and had not found one. Even the manufacturer's site showed them to be out of stock. KniveArt had them in stock and at a good price. I ordered the knife and got it in in a short time. Very nice knife by the way. Easy one handed opening with no springs or torsion bars to wear out. Well made and razor sharp.